Every generation gets the spoils of new technologies that their parents were introduced to, and often the new generation seems to have a natural inclination for using new things, whether it was the advent of the automobile, to TV, telephones, computers and today with mobile gadgets like smartphones and tablets. What I noticed was that many parents were sharing their “precious” and pricy touch screen iPhones and iPads. I used to share my blackberry with my two kids when they were toddlers and later gave them classmate PCs of their own. Even then, I noticed they wanted to mimack me but they were genuinely curious and not affraid to figure out how it worked. I delight at this, not for technology’s sake, but for the eveidence that most people are naturally curious and willing to try. This sparked an ideas to write an article that my editor dubbed Touch Generation. Rather than talk about technology as a whole — how parents are taking more photos and videos of their kids, creating an online dossie for their kids at an early age — we focused on the ease with which young children took to touchscreen devices. I spoke with a handful of recent parents, people who I saw regularly sharing photos of their children on Facebook and on Twitter. The issue of screen time is important, and one that most parents seem aware of when sharing their devices with their children. The best common sense advice from most people I spoke with was to “share” this screen time or collaborate with children when they are using technology…and to not spend too much time in front of the screen, but enough to get invovled and explore together. The story sparked some conversation on Facebook and a few blog posts have been created since we released the story on Intel Free Press, but this topic has been bubbling and bouncing around for a few years now. 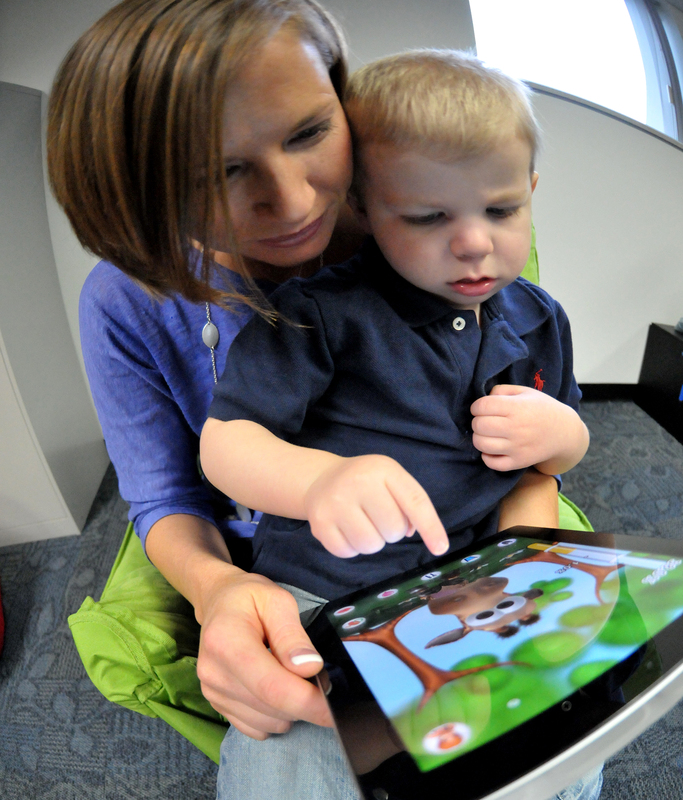 It’s been interesting to read experiences others are having when they share their touchscreen tech with their toddlers, and how parents are coping with good and bad behaviors as how they feel about any potential harm being caused by allowing young children to use technology. I will keep adding her any related stories that I find, and I encourage you to share your experiences parenting the Touch Generation. Sascha Pallenberg of NetbookNews.com shared with me video of a panel he lead a while ago where Carmen Villadar of What’s Up Andriod, who talks about how future generations are certainly growing up in a world where they’ll be using touch technologies their whole life (about 19 minutes in). I Just Won a Xoom Tablet at IDC’s Smart Tech!